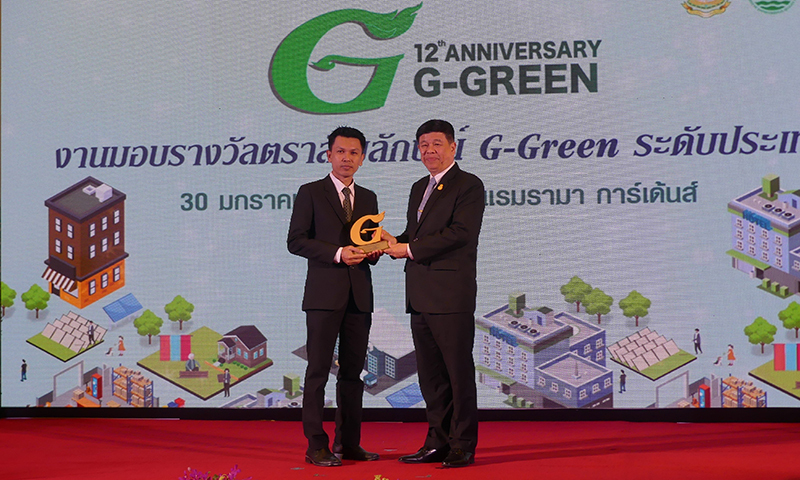 The Royal Cliff Hotels Group sets another benchmark for sustainability in the hospitality industry by recently receiving the G-Green (Green Hotel with Gold Level) Award 2019 from Thailand’s Department of Environmental Quality Promotion, which is part of the Ministry of Natural Resources and Environment. Celebrating its 12th anniversary this year, the G-Green Awards aims to recognize businesses that have passed the environmental evaluation by G-Green and to promote business participation in environmental protection. Attended by industry leaders, hoteliers and international media, the prestigious event is highly regarded among the global travel and tourism communities. The Green Hotel award is graded by industry experts and honorary judges and is divided into three tiers: bronze level (score of 60-69% or above); silver level (score of 70-79% or above); and gold level (score of 80% or above). This Gold Level award is a great addition to the resort’s multiple awards and serves as an endorsement to its pioneering efforts towards environmental conservation and responsible tourism. Royal Cliff’s remarkable achievements include the EIA Monitoring Award (2000, 2002, 2005, 2007, 2008 and 2009), Kuoni Green Planet Award (2005-6 and 2007-8) and the Best Green Hotel recognition (2008). These collective feats have made it a distinct establishment recognized for its environmental sustainability practices throughout the world. The Royal Cliff Hotels Group operates 4 luxury hotels providing tourists from home and abroad with the ultimate experience. Its superior service has been paramount to this latest achievement that has created a new high point for the Group, which has impressively won over 200 national and international awards to date. Book your stay directly to get the best price guaranteed along with value-added optional extras that will enhance your hotel experience by contacting Reservations at (+66) 38 250 421 ext. 2732 or emailing: reservations@royalcliff.com. Let us make your holidays magical.